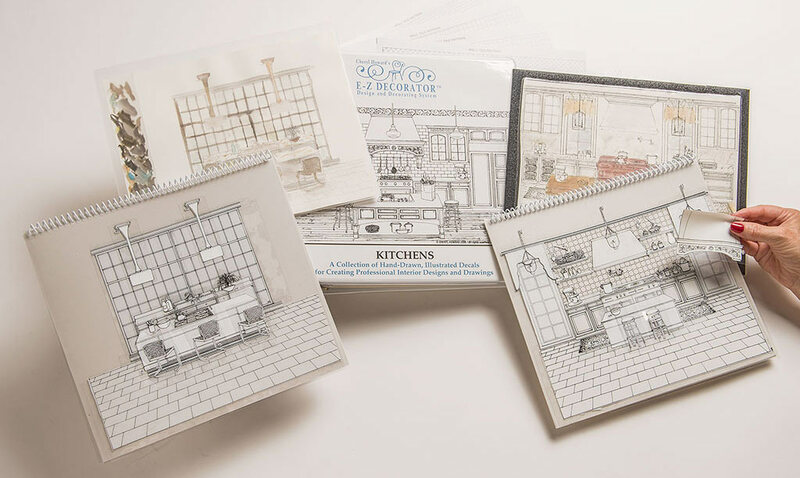 Over 1000 illustrations of the most current, custom domestic and European kitchen design elements. Included is a broad range of styles from traditional to high-tech. This supplement offers a huge assortment of cabinets, appliances, islands, accessories, backgrounds and flooring. Comes in a separate binder with 1 standard grid-board. NOTE: Designed to be used with a Standard or Deluxe E-Z DECORATOR System.